When you have found the love of your life, it might seem like marriage is the next logical step to continue your life together. However, it’s important to be on the same page before one of you decides to pop the question. After all, the last thing you want to hear is “no.” Before getting on one knee and making the big move, these are five steps that should be addressed beforehand. It’s not the most fun topic to bring up with your significant other, but marriage is more than just a gesture of commitment between two people. It greatly affects everything financial from your joint budget and combined debts to your taxes and investments. Ensuring that all of your expectations, past and current financial issues, and future goals are all in sync is imperative to a smooth and successful engagement - and marriage. Although this is an important factor throughout all stages of a relationship, it’s especially important to address any and all communication issues before you plan on tying the knot. How do you want to resolve any fights or disagreements that might happen in future? Do you have any issues with the way your partner handles certain situations under stress or anger? Do you feel like there’s anything going on that you aren’t privy to, or that you can help to improve? Whether you want to air it all out at once or start discussing the topic little by little, it’s not something that you should overlook if you want to take the next step. This is a big one, but it’s immeasurably crucial to know where your partner stands on major topics like children, careers, and home life. Do you both want to have children? If so, how many, how soon, etc? Will you both work, or would continue with their career path? What are your career plans? Do you want to own a home? There are a lot of questions that fit into this category, but before you solidify your engagement make sure you each know where the other person stands regarding major life benchmarks. Past events are another not-so-pleasant topic, but an important one nonetheless. If you’ve been together for a while, you likely know a lot about their past history, experiences, and people who have been influential in their life. 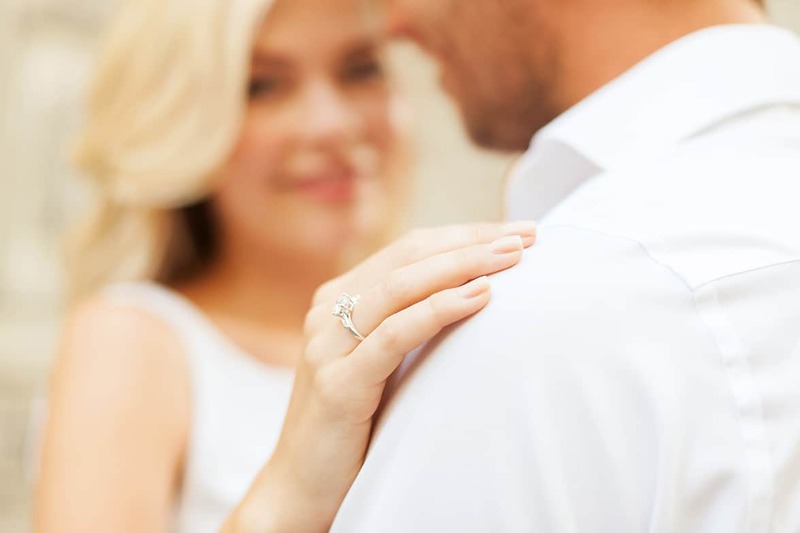 However, making sure that you’re fully in the loop will make getting engaged more seamless and carefree because neither of you will have any hesitations or suspicions about things that have already happened. The more you know about your partner the better, and this typically includes what happened before you became a part of their life. Even if you want to surprise her completely, it helps to have an idea about what she’s looking for in her engagement ring. It’s a piece that she will probably wear every day, so it’s worth a bit of investigation to make sure that she’ll love it as soon as she opens the box. Would she want a dainty and simple band, or does she want an eye-catching ring that’s dripping with diamond fluorescence? Does she prefer white or yellow gold? Is she more of a colorful gemstone person or are white, brilliant diamonds the way to go? 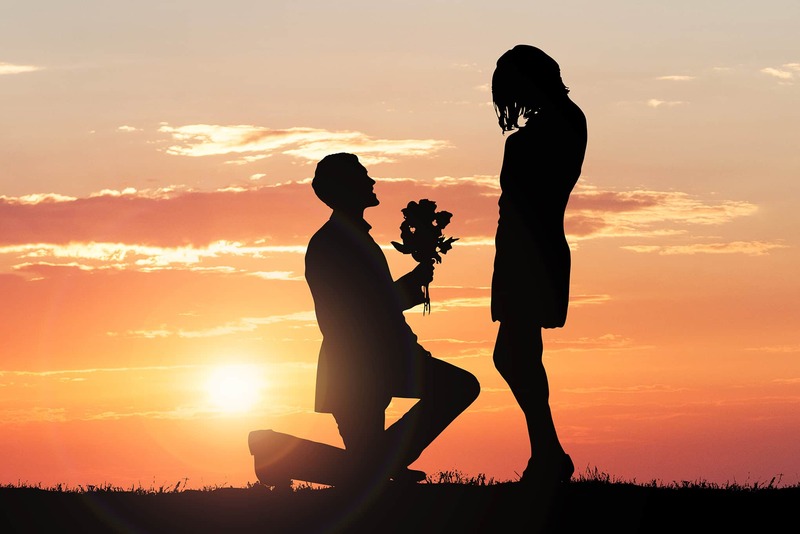 Before you decide to go out and buy her ring, take some time to confirm that you’re getting something that she truly wants and will fall in love with. Engagement is a huge step, so the more prepared you are the better off both of you will be. Eliminating unwanted surprises and clarifying major aspects of your relationship will let you really live in the moment instead of having a mass of questions buzzing around your head. By getting all of your concerns out in the open, you’ll be able to fully enjoy such a life-changing and memorable milestone in both of your lives.